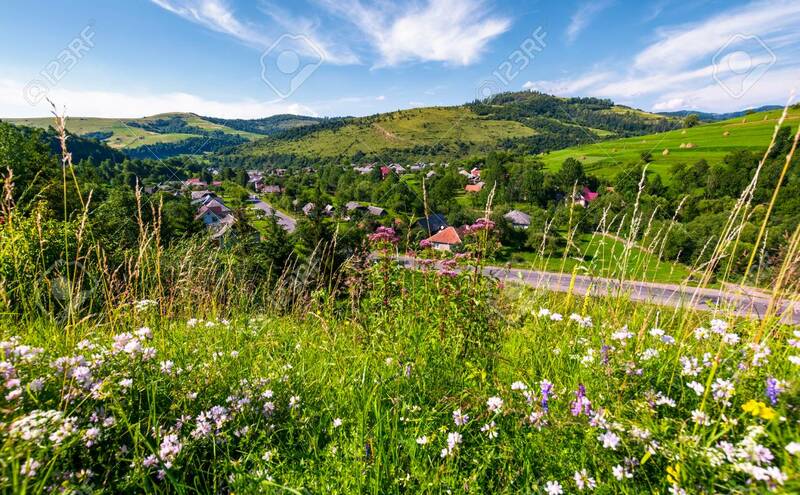 Beautiful Rural Landscape In Summertime. Village Along The Road.. Stock Photo, Picture And Royalty Free Image. Image 92859861.